The UK is the world leader in mobile phone usage with 83 million mobile phones in use at the end of 2012 (see here). By 2016 it is estimated that there will be 63 million smartphones in use in the UK alone!! There has never been a better time to ensure that your website is mobile friendly. 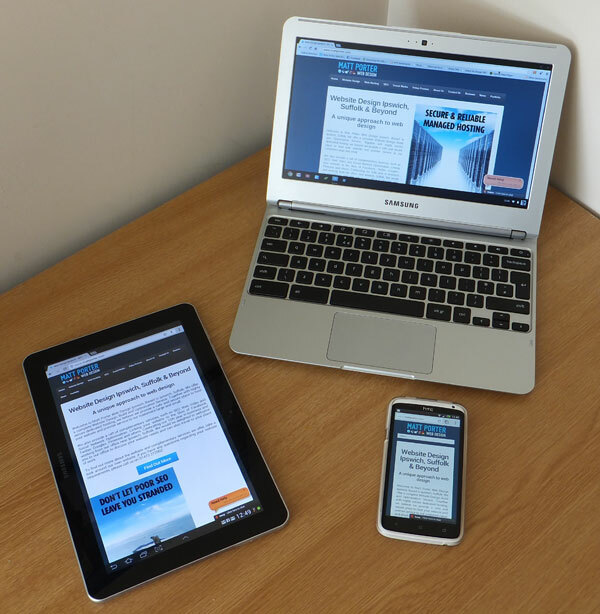 The good news is that ALL new websites built by Matt Porter Web Design Limited are built to be mobile friendly. There are no additional fees to pay on top of your quoted amount and we will also provide you with a QR Code and our very own sqsh.eu shortened web address for your to use in your advertising advertising. To find out how your business can be displayed on mobile devices, call us now on 01473 272002.